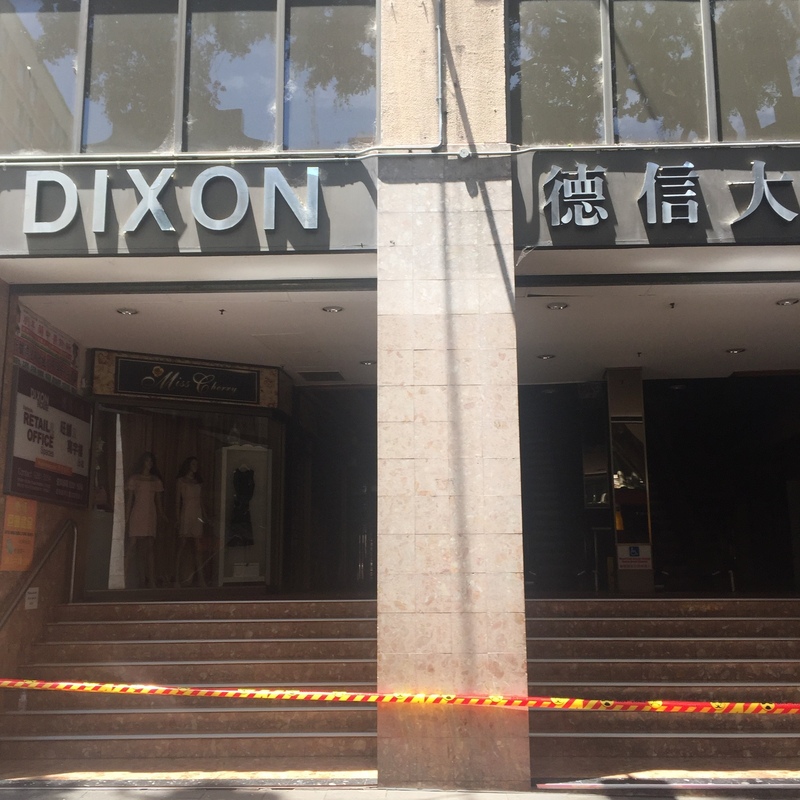 Dixon House and the basement food court is currently closed after a gas explosion on 29 November. 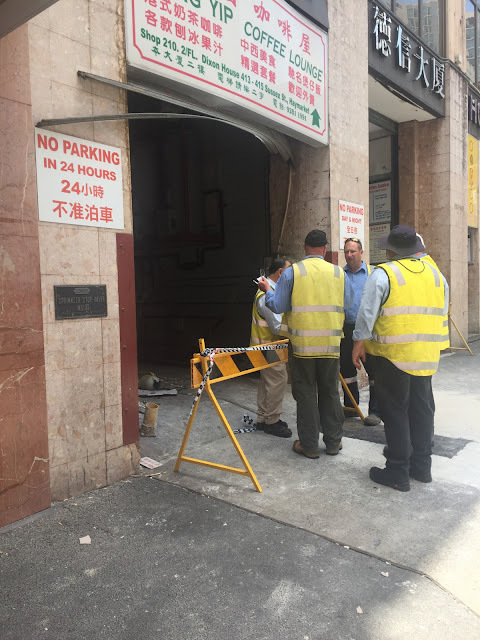 Just before the end of business for the night on 29 November, a gas leak caused an explosion in the loading dock of Dixon House in Sydney's Chinatown. The force of the blast blew out the metal roller door, closed down for the night. The whole of Dixon House, including Ching Yip Coffee Lounge, Delicious Duck King and the Food Court is closed, with no word yet on a reopening date. We love Dixon House and the food court in the basement. 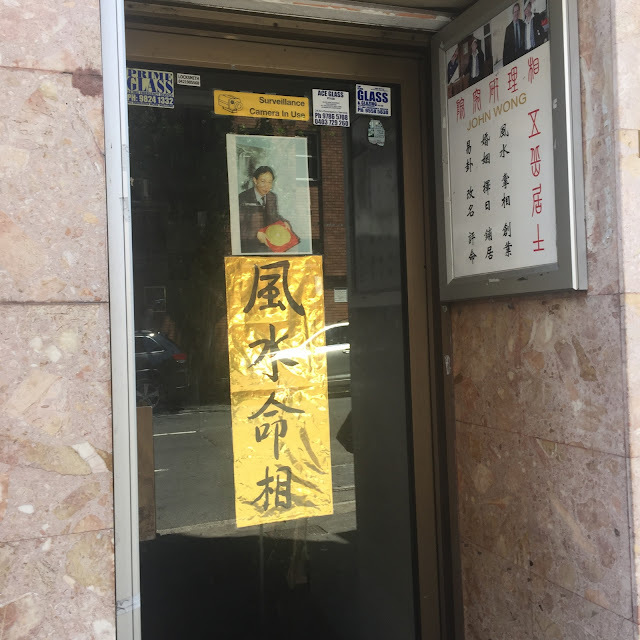 It's the oldest food court in Chinatown, opened in the 1980s as a serve yourself Chinese food bar with metal trays and all the spring rolls you could eat. The food court has changed little in recent years except for a welcomed overhaul of the bathrooms. We love Ching Yip Coffee Lounge on the second floor too, we were just planning a summer of getting through their Hong Kong cafe menu. Reports say that there was a gas leak in the loading dock that leads out to Sussex Street. 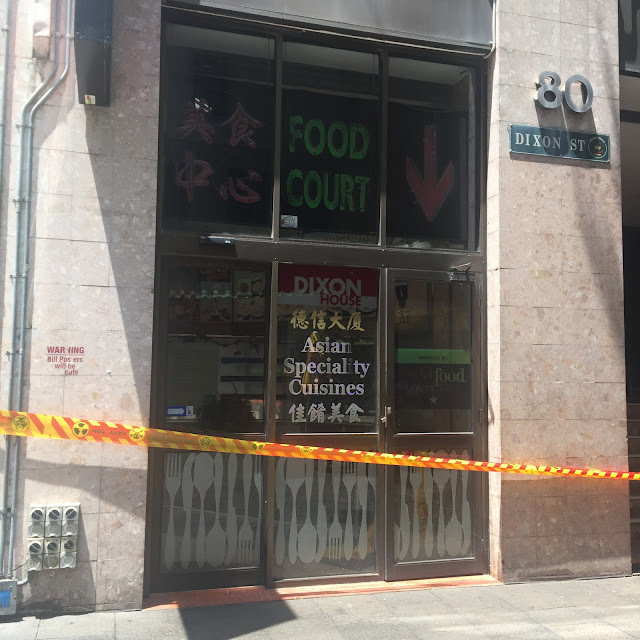 A number of people were injured with cuts and lacerations, mostly out in the street from flying debris. It was incredible that this wasn't a larger accident, with the food court busy and businesses trading. A quick thinking security guard shut off the main valve when a cleaner smelled gas. There was an estimate of over 200 people in the building at the time. The building is regarded as stable, but there was a lot of damage to furniture, fittings and doors blown off hinges. The blow to the food court stall holders must be immense. 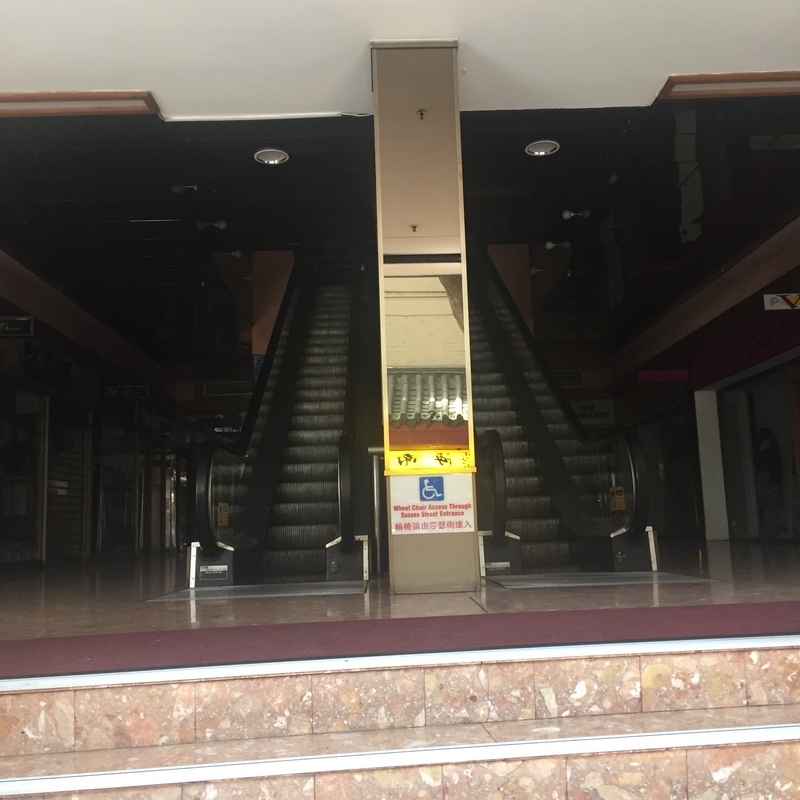 Loss of stock from the power outage and no go zone as well as the missing food court trade must be putting a huge dent in the traders pockets. 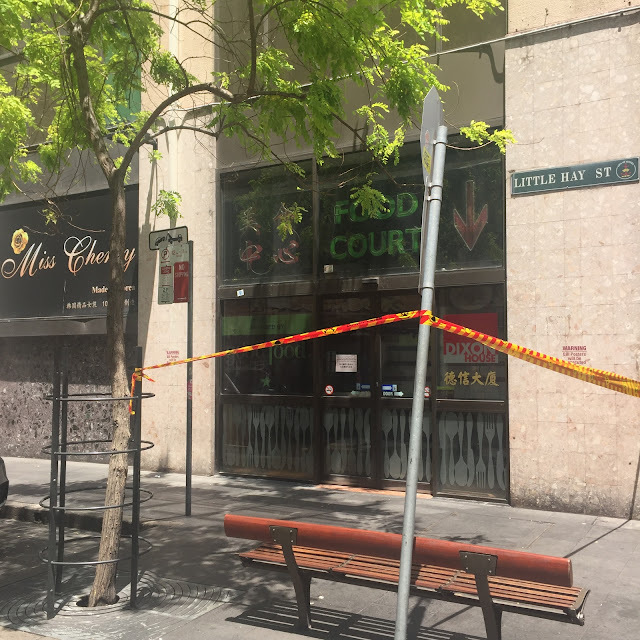 Eric Lau, the owner of Phnom Penh Teo Chew Noodle House, said this to the Sydney Morning Herald a few days later: "I have nothing: my wallet is inside, the keys inside, no driver licence," said Mr Lau. "Everything is inside. When you close, you lose the business, you lose the salary." Our hearts go out the stall holders, we hope to see you back trading soon. 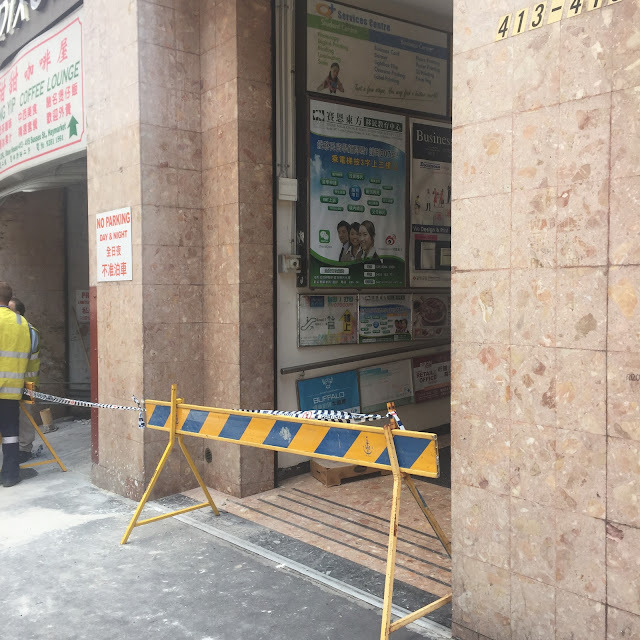 We took these photos the morning after the explosion, there was hazard tape wrapped around all the entrances. A few days later we saw some stall holders salvaging what they could from below. 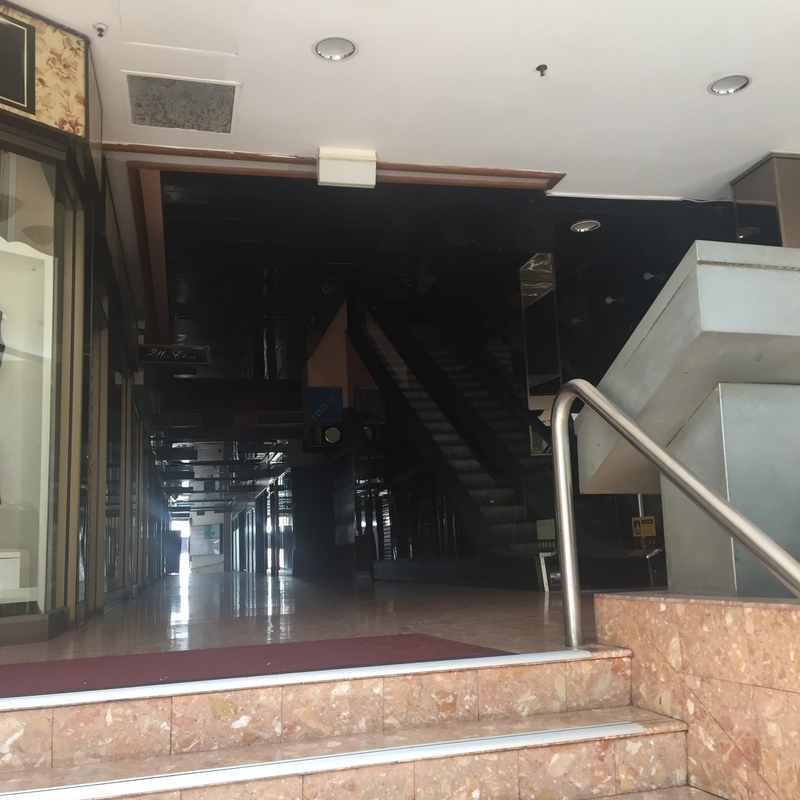 The first floor businesses are all closed, including Delicious Duck King. 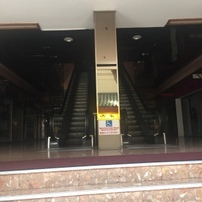 The escalators leading up to Ching Yip Coffee Lounge were eerily empty and quiet. Large shutters are currently down across this entrance. Even the Chinese soothsayer and occasional musician John Wong has closed his little store at the back. Perhaps he foresaw it all happening? We'll keep you updated of further news on the reopening. We are crossing our fingers and toes it does reopen.